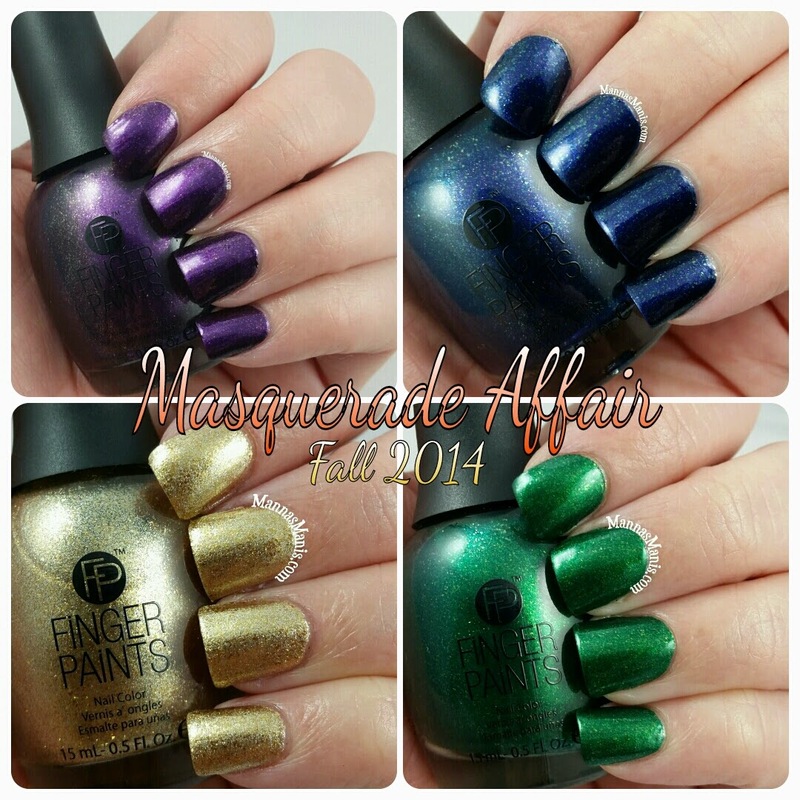 Today I'm going to show you the Masquerade Affair Fall 2014 collection from FingerPaints! 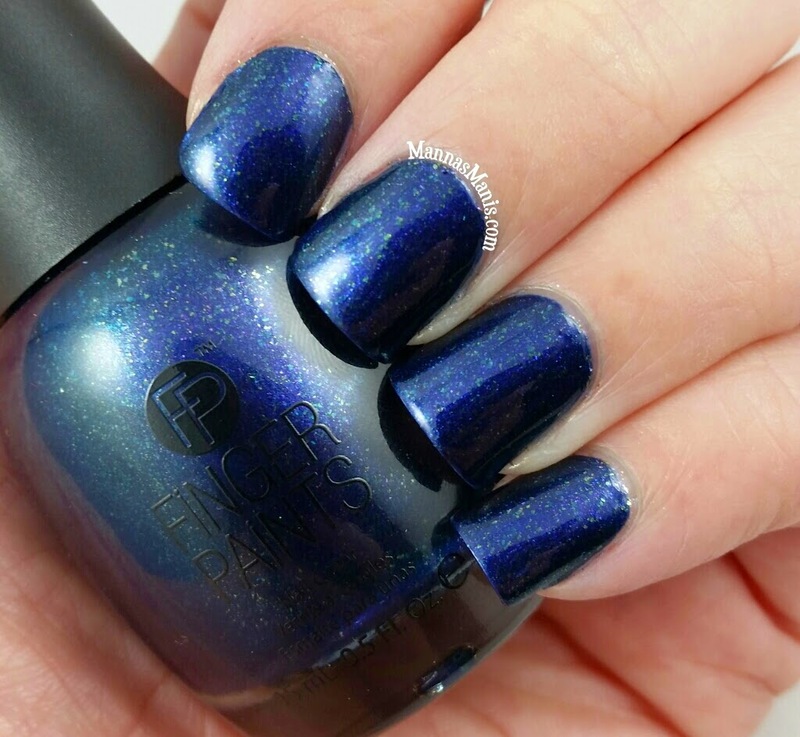 A shimmery blue with green and goldish flakes. The color is BEAUTIFUL in the sunlight. It did stain my cuticles very bad, as do all blues. This is 2 coats, topped with Hk girl. A champagne foil with golden flakes. First coat went on sheer, but only requires 2 coats. Formula and application are great. 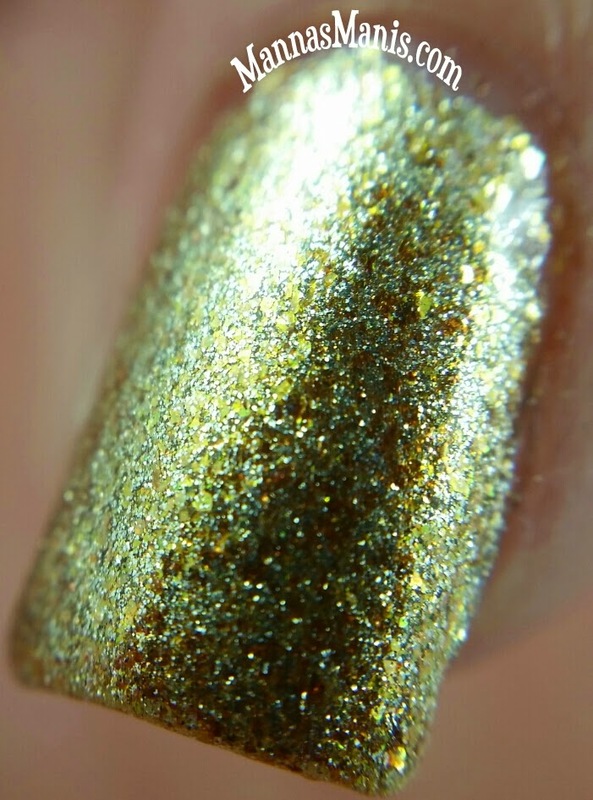 An emerald green shimmer with gold flakes. 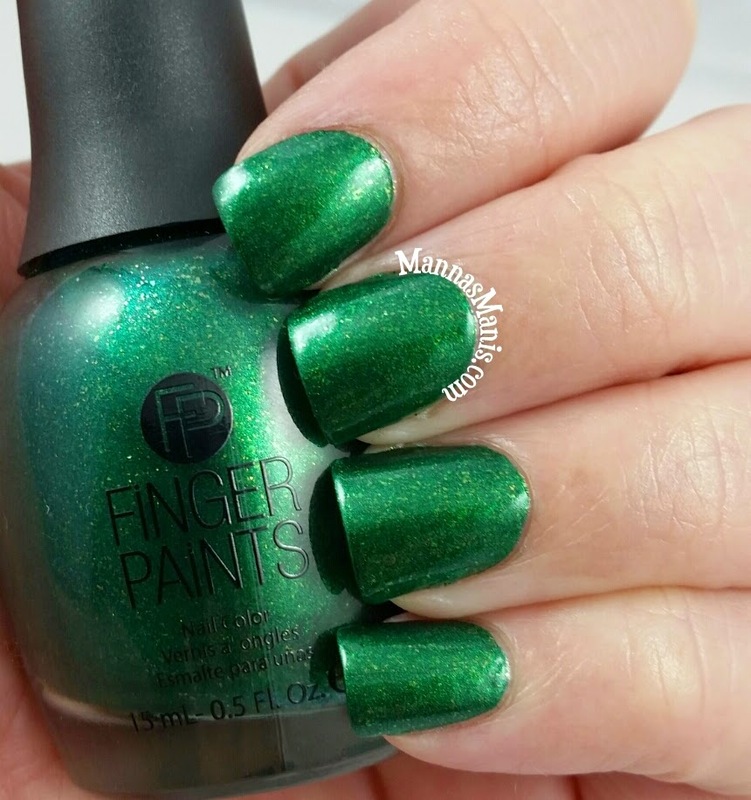 I'm not usually a fan of greens, but this is gorgeous! I will probably be using this a LOT come Christmas time. This is 2 coats topped with HK girl. Finally, my favorite in the collection. A purple shimmer with gold flakies. Only one coat is needed, but this is 2 coats topped with hk girl. 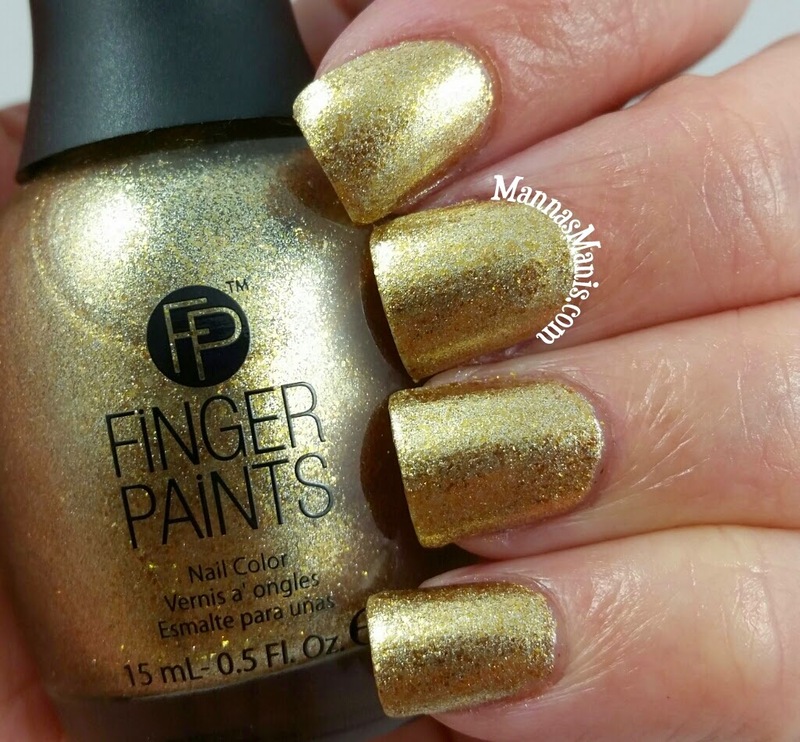 Overall, this is a fantastic collection from FingerPaints. I haven't been this impressed with a collection from FP for a very long time. Available at Sally Beauty supply for $5.49 each.